It is difficult to go on a car trip these days without running across a Cracker Barrel Restaurant. I have not dined at one of their outlets in many years. But I do own Cracker Barrel Stock. So let’s check out the fundamentals from a dividend stock perspective. So join me for a Dividend Deep Dive analysis of Cracker Barrel stock. Headquartered in Lebanon, Tennessee, Cracker Barrel owns and operates the Cracker Barrel Old Country Store concept. Their concept includes both a restaurant and retail gift store in each location. The company operates nearly 700 stores across 45 of the United States. The intent of their stores is to appeal to both travelers and local customers. Restaurant sales account for about 80% of the company’s revenue with retail store receipts making up the balance. None of the company’s stores are franchised. And Cracker Barrel owns the land and buildings for more than 400 of its locations. The remaining locations are leased in some form. Expansion has been modest. They opened 8 new stores in fiscal 2018. They have similar expansion plans for 2019. The Cracker Barrel stock dividend is unique. Like most US based companies, they pay a consistent quarterly dividend. And they have increased that dividend annually for 16 consecutive years. Each year starting in 2015, the company has also declared and paid a one-time special dividend. For purposes of this Cracker Barrel stock dividend analysis, we will include the annual special dividend. Since it has been paid for four consecutive years. With that in mind, Cracker Barrel stock pays an $8.75 forward dividend per share. This gives the investor a healthy 5.2% dividend yield at its recent stock price. 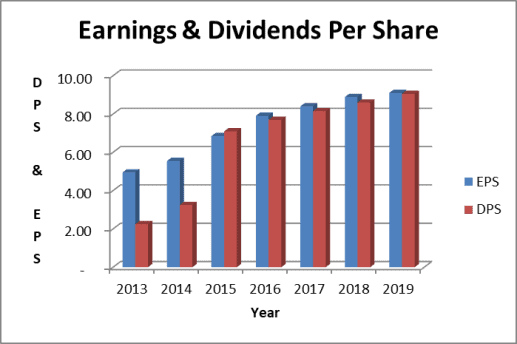 Dividend growth has slowed dramatically since the original payment of the annual one time dividend in 2015. So let’s look at the business fundamentals to see what is going on. 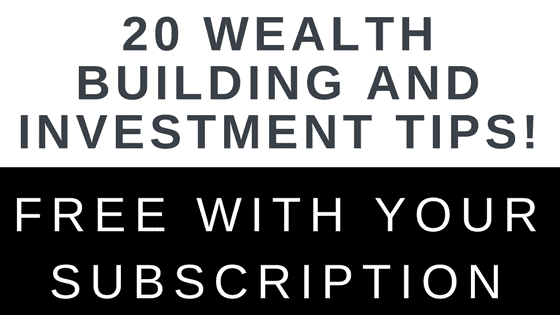 Most importantly, how their business prospects may impact the dividend in the future. The company is anticipating revenue of just over $3 billion for fiscal year 2019. 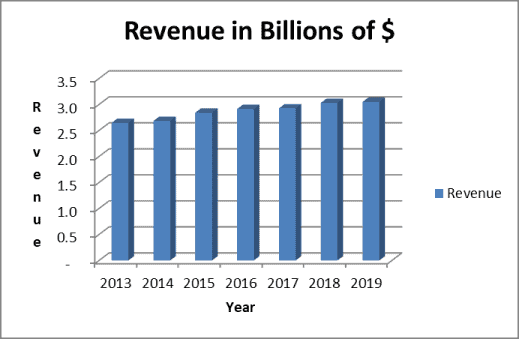 Revenue clearly grows very slowly at about 2% annually. This is not a high growth company by any means. Earnings growth has been strong nearly doubling on a per share basis over the past 6 years. Starting in 2015, management made the decision to pay out all excess earnings as part of the annual one-time special dividend. This puts the dividend payout ratio just short of 100% of earnings. Additionally, the dividend has run slightly more than free cash flow. The company has drawn down cash from their balance sheet to accommodate the dividend payout at this level. As a dividend investor, it is nice to see a company share 100% of their profits with me. 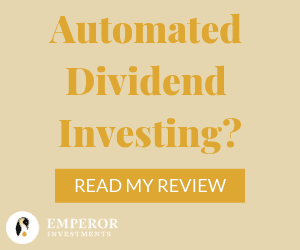 In contrast, if earnings decrease in future years, it is likely the special one-time dividend they have been paying would be reduced or even eliminated to conserve cash. A future earnings downturn cannot be ruled out. After all, restaurant and retail sales will likely be negatively impacted by the next recession. Cracker Barrel does not have publicly traded debt. Therefore they do not have a credit rating from one of the major credit rating agencies. They do have a 5 year revolving line of credit with a lending institution that extends through 2023. Money from this line of credit and cash generated from operations services the cash needs of the business. Furthermore, long term debt under the line of credit and all other liabilities account for about two thirds of the company’s capital structure. As mentioned above, Cracker Barrel’s financial performance could be negatively affected by the next recession. The company is also exposed to commodity price inflation in their restaurant food products. Inflation may increase costs and lower earnings if the higher costs cannot be passed along through price increases. 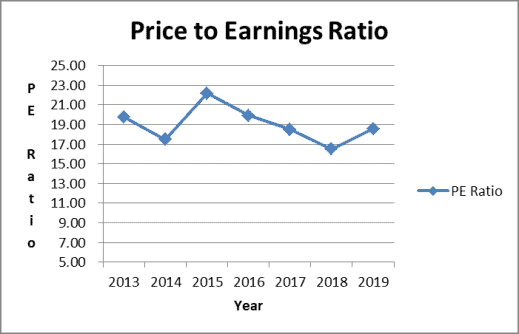 The price to earnings ratio based on projected fiscal 2019 earnings is running in the high teens. This seems a little expensive for a company with limited growth potential. And a dividend susceptible to an earnings decline. I like restaurant industry exposure as part of my diversified portfolio of dividend stocks. Additionally, I like the large dividend Cracker Barrel stock pays. And I especially appreciate that management shares the bulk of company earnings with me in the form of that dividend. In contrast, I do not feel there is much growth potential. And the ongoing nature of past one time dividends could be jeopardized by a recession or an unforeseen business misstep. Cracker Barrel stock is one of my smallest holdings. For now, I plan to keep it that way. I do not intend to add to the holding in the near future. I may even consider selling it and moving the funds to another stock in my investment portfolio. I hold Cracker Barrel Stock at the time of this article. I’ve stopped by there a couple of times during road trips with the family. I love the atmosphere in their restaurants/stores. And the pancakes are awesome. I like the fact that 100% of the profit is distributed. Hi Tom, I dined there once, and liked it. The store looked unique, and cool. The food prices were very decent. 5.2% dividend yield is very nice. Restaurant is tough business. Glad to hear they are doing okay. I’ve never eaten at a Cracker Barrel, although I’ve heard good things. The dividend yield sure looks good, though! I would agree on not adding more shares at this time. Hope they can improve top-line and bottom-line in 2019 and forward. I’m in agreement with your analysis, and also own some CBRL right now. I have liked their special dividend but it is definitely a challenging business. It is not a space where I expect them to have significant growth either, although I have been noticing more of their products in grocery stores here. I’m not looking to add more at these levels and am content with my holding at this time. 5.2% dividend yield is nice! KHC and CBRL had a court battle in 2013 over the “Cracker Barrel” trademark, particularly on the cheese and meats lines. End result CBRL purchased a licensing agreement to market select products under the name “CB Old Country Store”. The Cracker Barrel cheese line is all Kraft. Me like! Don’t own Cracker Barrel and only have eaten there twice. But I like its breakfast and it seems like a good neighbor to have. This post only confirms my instincts. Thank you, sir.